#251 Off The Cuff Bump by Tuesdays with Stories! The guys make their way back to the studio for a hell of an episode and to guess some holidays, Mark's comings and goings on the Jim & Sam show, and Joe's curbside view of a classic New York street fight. Check it out! Subscribe to our Patreon for new bonus eps featuring Ron Bennington, Chris Distefano, Nikki Glaser, and Yannas Pappas. 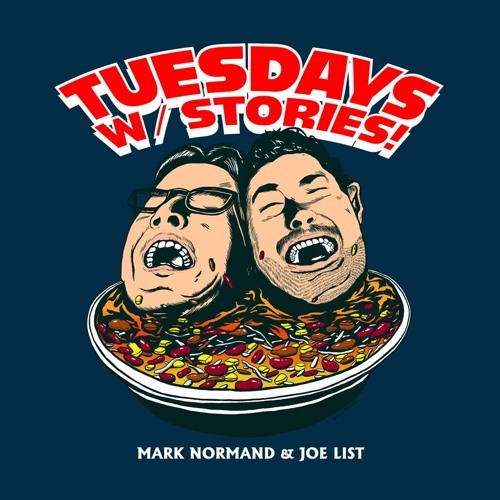 Plus, a new bonus vid with Joe, Robert Kelly & Ari Shaffir! www.patreon.com/tuesdays We have have NEW t-shirts. Get em' here! www.merchpump.com/product-category/tuesdays/ Download the Laughable app today! laughable.com/download Go on iTunes and give the pod a #5StarLunch review!